Thank you for visiting the Escalate Solutions website. 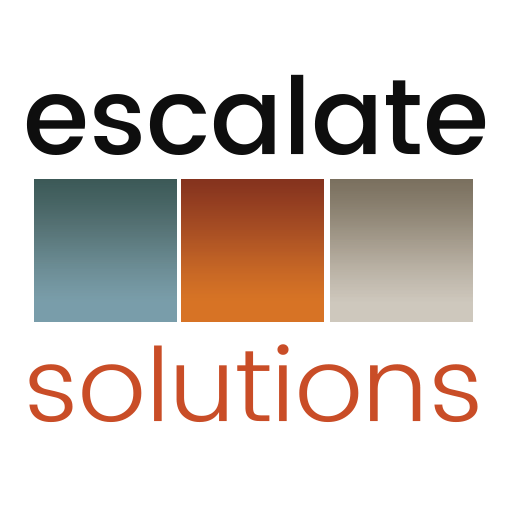 As CEO/CSO of Escalate Solutions, I offer strategic growth advisory services to advancing and transitioning clients throughout the globe. While the majority of my engagements are for established businesses with defined scopes of work, I go out of my way to share my growth strategy expertise with organizations in any phase, location or hiring capacity. To help expedite the sharing of information with all of you, I am providing individuals and businesses the opportunity to access my guidance and experience on a more limited basis. You can begin by scheduling an appointment with me below. I offer all entrepreneurs, owners and c-suite teams an initial complementary half hour introductory session – either via phone call or online session – to discuss your organization’s strategic planning, growth initiatives and cross-disciplinary infrastructure needs. The first session is provided free of charge so that we can verify if the scope of work fits within the parameters of Escalate Solutions’ expertise and methodologies. Subsequent advisory sessions are billed at $330 for a full hour unless prior arrangements for extended appointments have been made. Special scheduling arrangements can be made on a case by case basis; discounts are available for multiple sessions on longer service arrangements. Additional specialty speaking engagements can also be booked via this site. Adequate documentation regarding the strategic plan, growth strategy or infrastructure challenge to be discussed during the session is required in advance; NDAs can be executed as needed to facilitate information sharing. I look forward to working with you and helping your organization ESCALATE to the next level.